What is Managed Web Hosting and How Does it Affect Your Business Story? Dos Equis, Procter and Gamble, GoDaddy, Ben and Jerry’s; at some point, these companies had a story to tell, one that grabbed our attention and held it. As we heard this story over and over again, we began to recognize them, to admire them, if you will. They won our allegiance, or confidence and our business. Your business has a story to tell too. But is the story, like that of many other businesses, about your confusion, lack of organization, lack of customer service and the inability to grow. For many businesses, this is their story. At least that is what they complain of. But it doesn’t have to be your business story. The solution lies in getting help. You can outsource projects, ideas and processes in an efficient and an affordable way – And the first place to start? The first project to outsource is your web hosting management. Consider this. Have you ever thought of managed web hosting? What is Web Hosting Management? Managed web hosting is a solution for businesses, it’s a way of getting the website hosting plans managed by someone else. This eliminates the need for a server, for tech help, for a manager for the website server, and the need for server management. Instead you delegate all of these tasks to a technically efficient service team. This allows you to focus on your core business issues and leave all the technical details to other people. Reliability – Managed hosting guarantees a completely reliable plan because issues are handled by a team of experts. Higher Security – when running certain websites or e-commerce site security becomes paramount, and a managed web hosting account can ensure regular data backup, recovery and updates. Constant Monitoring and Support – managed web hosting does cost slightly more, however clients get personalized support 24 hours a day. Better Productivity – managed hosting does cost more but is also more cost-effective option is you don’t have to hire specialized team members to handle hosting issues. The cutting down of time needed to learn about hosting issues. These are just a few of the reasons why managed web hosting is a better option for most businesses. There are other options and reasons for choosing this managed web hosting, but those are usually depend on the customized needs of an individual company. Becoming successful in business is about reducing your personal work tasks, not increasing them, and one area where you want to minimize your participation is in the tech area of your business. Tell the right kind of business story, one that speaks of courage, success smart decision-making. That’s the story that draws your customers and keeps loyal to you. But that kind of story can only be told when you are confident, and that confidence can only come from outsourcing some of your activities, one of these being your web hosting needs. The internet is one of the most powerful tools that we have at our disposal, but in the wrong hands that tool can easily become a weapon. While you may think that the world’s problems won’t do much to affect the day-to-day goings on of your business, the truth of the matter is that even if the immediate affects don’t alter your business, there’s still a very good chance that the ripples can have devastating consequences on your company. There are specific current events taking place related the internet that you’ll most definitely want to keep your eye on and prepare your business for. You’ve more than likely heard about net neutrality, which is the idea that all types of data have to be treated equally and fairly by Internet Service Providers (ISPs). On September 10, 2014, several websites participated in what is known as Net Neutrality Day as a way to demonstrate the consequences of what would happen if the Federal Communications Commission (FCC) decided to charge high traffic sites more. Besides sending a message to the FCC, Net Neutrality Day was an effort to get the public to voice their opinion on net neutrality before the FCC ended their public comment period on September 15. As of September 12, the FCC reported that they had received an abundance of 1.7 million comments, many of which were in strong agreement with net neutrality. Besides comments from the public, the FCC also received open letters that had been cosigned by some of the largest internet companies. So what does net neutrality have to do with your business? Imagine if you were charged more for having a high traffic website. This can be especially brutal if yours is a small business and you don’t have very much in the way of funds to spare. Your company would undoubtedly take a major hit considering just how much business is done online these days. Even if you weren’t charged extra for having a high traffic website, how would your business fare if a large country or terrorist group seized control of the internet? As of 2013, China is considered to be the third most restrictive country when it comes to internet access. The way that China’s central government is able to restrict online access is that they have a massive system that limits public access to certain foreign websites, which is a system that has been in existence since the late 1990s. Another way China’s government is able to restrict internet access is through a domestic surveillance system that was implemented in 1998. Not only that, but China also has several separate departments in the government that have their own monitoring systems. Originally, the country only blocked such websites as Voice of America, specific foreign newspapers, and human rights organizations before their filters became more advanced. Now specific pages can be blocked on foreign websites, which means that citizens can still visit those websites but will only be able to view certain pages. Not only that, but certain search terms can also be blocked if they are entered into a search engine. Anyone who searches for banned keywords is restricted from accessing the internet for 90 seconds. Imagine if your target audience wasn’t allowed to search for the products or services that your business sells. How would it influence your company if your customers were only allowed to see a few pages of your website? Even if the U.S. government doesn’t restrict access to the internet, there’s still a possibility that cyber terrorists could negatively affect the flow of your work. One of the biggest threats that cyber terrorism presents is that it’s possible that a terrorist organization could gain control of our electrical systems, airline systems, and even our water systems. Should a terrorist cyber attack become a reality, communication would shut down either entirely or by degrees. You might suddenly find yourself unable to communicate and trade information with employees who were out of the office or access your email or social media profiles. What’s truly unsettling about this is that it’s possible that terrorists or hackers have already placed a command, virus, or a type of malware on a computer system that is set on a timer or programmed to be released when a certain command is executed. Besides your business, there are also concerns over attacks against large web hosting companies. The first thing that you should know is that your business is already vulnerable if you choose to host your website on a Virtual Private Server (VPS). The reason is that cyber terrorists and hackers can upload harmful codes onto the server. Even if it’s not obvious that something is amiss, there’s still a possibility that credit card numbers and other sensitive information could be subtlety stolen from your website. While you may not be able to account for every contingency, you can make sure that your web hosting company is well-protected, which means that you, your website, and your customers are well protected. Ensure that your host knows who their customers are, that they have proof of customer identity, and call clients by phone before activating accounts. Website hosts should also have powerful firewalls designed to block any and all possible threats to the server. Don’t hesitate to call up your website host and ask them how much training and experience their security, administrative, and network employees have or how prepared they are for a cyber attack. If an online attack was launched on your data center or web host center, it could practically throw your business off of its axis. Orders wouldn’t be completed or accepted, customer’s sensitive information would be exposed, you might not be about to reach out to customers to let them know about the attack, or they might not be able to reach you to ask what’s going on. Businesses everywhere would be dead in the digital water. The next time you’re watching a news story or catching up on current events in the world, think about how they can potentially affect your business. While worrying may seem like a monumental waste of time that could be spent on your business, doing so could potentially save your business. Are Certain Countries a Threat to Web Security? One web hosting provider suggested that the best hosts choose a control panel that fits the needs of their business while others simply build a business around their control panel. However, web hosts can actually do both. Those who do carefully test available systems often end up using their control panel for strategic business opportunities. A powerful Plesk platform allows providers to be proactive with their clients. One Parallels client confirms this by stating that Plesk provides the options he needs to upsell his clients, motivating them to grow their infrastructure or to migrate to higher-end products. The bottom line is that Parallels Plesk 12 adds increased revenue potential to a web server installation. Do Hosting Clients Care About a Particular Control Panel? The short answer is no. Although Plesk is well-known among providers, it is generally unknown among clients. However, customers are aware when a provider is giving them additional value. Mercedes owners may not know the nuts and bolts of the design of their automobiles, but they definitely know they are driving a Mercedes. Clients who have experienced different providers learn which enhance their business more. The functionality for Parallels Plesk Version 12 resulted from providers using earlier version. The design team made sure to fine-tune the platform according to provider requirements. A significant source of customer feedback came from the Parallels website forums. At these forums, the Plesk designers showed how the customer feedback led to the features of the new release. Parallels released Plesk 12 following a process similar to that used by Microsoft for a new release of the Windows Operating System. Providers participated further in the design by downloading pre-release versions of the new Plesk platform, and contributing ideas that ended up in the final release in May 2014. This process made Version 12 a provider-centric solution. One of the most powerful features of the new Plesk release is the upgraded reseller management tools. These tools allow the provider to seamlessly convert a client from a customer to a reseller and back again. Hosts utilizing Plesk can offer their clients many options to improve their operations. Several years ago, a popular caveat stated, “cPanel for Linux servers, Plesk for Windows.” This is no longer the case. Modern Plesk supports both Linux and Windows installations. The Linux/Unix version supports a range of POSIX platforms, including Ubuntu, SUSE, Red Hat Linus, FreeBSD, Fedora, and Debian. Providers are no longer platform-limited when considering a Plesk solution. ModSecurity Rules by Atomicorp – this web application layer firewall (WAF) examines application inbound and outbound data streams by validating information passed through system calls. On this basis, it accepts or rejects socket calls between the application layer and the lower OSI layers. Single point of entry for full WordPress installations as well as themes and plugins. Full installation control over installations and updates includes activating and removing themes and plugins. Make existing WordPress installations more secure by applying recommended security settings. Custom View Management – allows or prohibits customers changing the Plesk UI appearance. Allows configuration to limit user options to just a few options as required. Advanced Reseller Management – greatly simplifies server management. Allows configuration to move customer accounts to resellers and back again. Subscription Management – configures all aspects of a recurring revenue operation, including maintaining subscriber lists, providing automated billing, and managing orders and renewals. These four editions provide the right tools for each client. Organization and speed – Plesk is organized by section, allowing a streamlined workflow. Ease of migration – For cPanel users who try Plesk and prefer the new control panel, Parallels offers a straightforward migration process for migrating data objects between the two business models. cPanel parked domains are converted to Plesk domain aliases. Plesk creates new passwords for FTP users. The complete migration process is contained in a support paper. No missing features – cPanel users can expect full in the use of their new Plesk installation. The best way to learn about Parallels Plesk is to put it to work in normal operations. 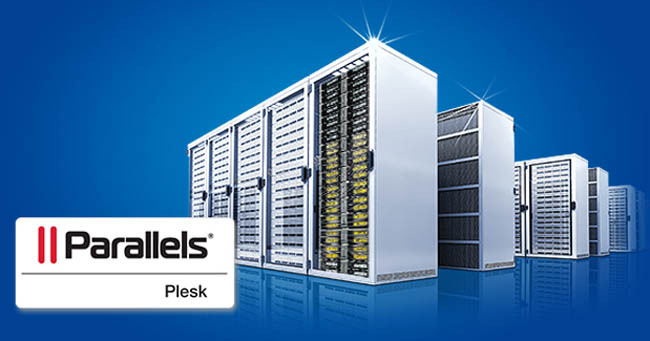 Plesk will need a dedicated server as it cannot share machines with cPanel or other solutions. Website hosts can unleash Plesk on their everyday tasks. Not all hosting providers have the resources for a full trial. For those customers, Plesk offers a web-based demonstration that allows those clients to see Plesk in action in a simulated business environment. Parallels wants to make sure you have the opportunity to get comfortable with their powerful platform before making any decisions. Is Your Web Content Legal? In many ways, the growth of cloud hosting represents a new era in the hosting and Internet services industries. Technological innovation is creating new, in-demand services you can use to expand your hosting business. But, as with any service, delivering reliable, high-performance cloud hosting presents obstacles. Interestingly, these are the same challenges hosts have seen before. The “noisy neighbor” problem comes into play whenever multiple users or applications share resources. With servers and storage networked together, the cloud does not simply replicate the noisy neighbor issues you may recognize from shared hosting, but presents an even bigger concern. At HostingCon 2013, you can attend a wide range of educational sessions designed to help you develop and launch cloud services. In one session, “Eliminating Noisy Neighbors and Optimizing Performance in the Cloud,” a panel of infrastructure and hosting experts will come together to discuss what you can do to get the most from your cloud services. The noisy neighbor problem occurs because the behavior of one user will affect others on the same server. If one website starts attracting large volumes of traffic or drains hardware resources through poor application design or intentional misuse, the neighboring websites on the same server will notice performance degradation. It would be natural to assume that, in the cloud, the sheer quantity of hardware resources networked together will mitigate this problem. However, noisy neighbors still cause issues on cloud hosting platforms. Often, the noisy neighbor in the cloud is storage. Although disk capacities continue to increase, the speed of reading and writing from disks does not. While flash memory and solid-state drives (SSDs) can help, this represents another costly investment for your company. Worse, your cloud customers are more aware of performance and stability than ever before – after all, these are the traits that sell the cloud. Eliminating noisy neighbors and maintaining outstanding performance is essential to your success. With an intelligent strategy and the right advice, you can predict the most common obstacles to a successful cloud platform, and eliminate them. HostingCon 2013 is your chance to get advice from experts in the industry. In “Eliminating Noisy Neighbors and Optimizing Performance in the Cloud,” a panel of experts will come together to discuss meeting service obligations and maximizing your service quality to generate more business. The panel session features Nathan Day (SoftLayer), Ross Cheetham (Crucial), Dave Wright (SolidFire), Antonio Piraino (ScienceLogic) and Chandler Vaughn (Codero). “Eliminating Noisy Neighbors and Optimizing Performance in the Cloud” takes place on Monday, June 17th at 10:00am. To attend HostingCon 2013 and this essential session, register now.